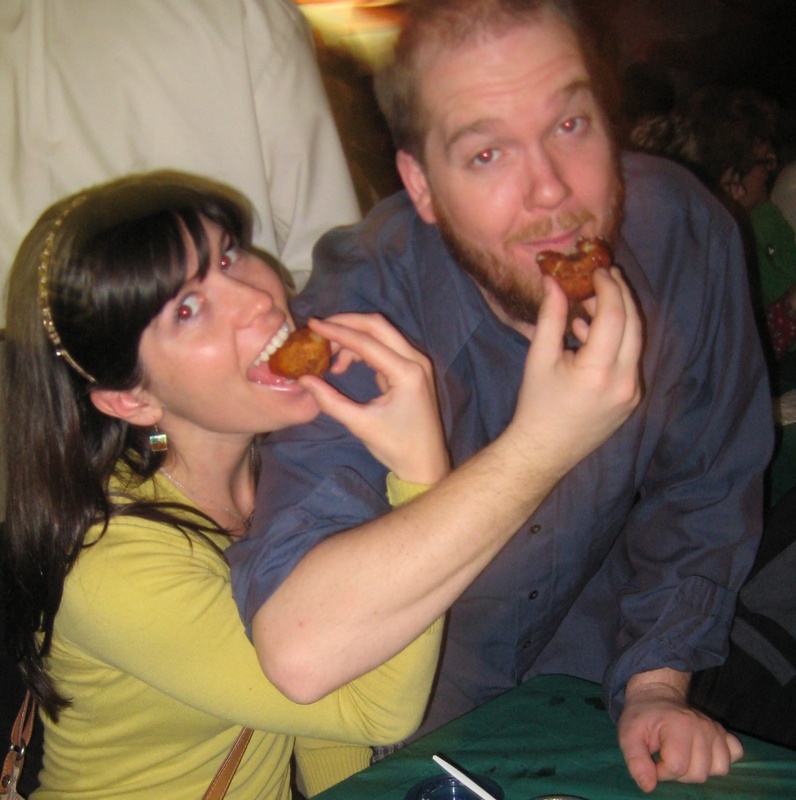 Guber Ball day is long-standing tradition at the Dirty Ol’ Tavern (The Distelfink Inn) in Lancaster, Pa. It comes but once a year, around Christmas time, and there is not really any information about it anywhere. Go ahead, try to Google it, you won’t find much. The Dirty Ol’ Tavern doesn’t even have an official website (or at least I couldn’t find one). You’ll just have to go down South Prince Street to the fringes of Lancaster city next holiday season and see for yourself. I don’t really know how the tradition began but it has been celebrated for 65 years and counting! But this day we were lucky! There were plenty of Guber balls to pass around! The snow storm kept many of the party-goers home and the Distelfink Inn had an enormous amount left to fry up for us. And so began the Guber Ball Day tradition for my group of friends. This year my very good friend Matt (that’s him in the picture!) and I decided to make some special sauces for the Guber Ball Day Christmas party. This year the party was held on December 17th. I’ll be sure to put up a reminder post next year to let you all know when the special day is because I know you all want to attend next holiday season. 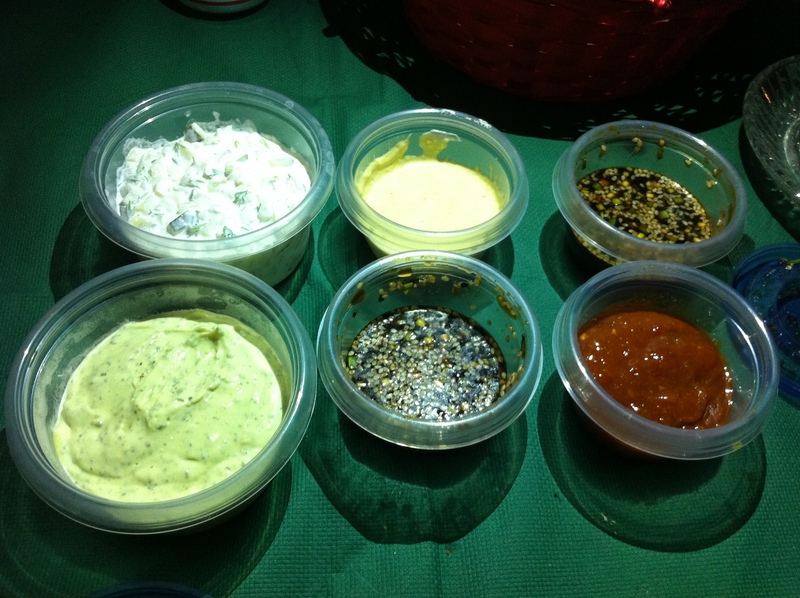 Top row: homemade pickle and onion creamy relish, horseradish mustard mix, and hot sesame soy dipping sauce. Bottom row: Garlic and winter herb aoli, regular sesame soy dipping sauce, and curried sweet chili ketchup. I think that everyone pretty much voted the regular and hot sesame soy dipping sauces went the best with the Guber balls. The sesame soy dipping sauce is a mixture of soy sauce, sesame oil, sesame seeds, scallions, garlic, and ginger. The hot version includes a squirt of sriracha sauce. I originally made this sauce for cabbage and shrimp pot stickers but it’s really good for a variety of dippable foods. We don’t actually know what a Guber ball is made of, but we do know that the recipe is a heavily guarded secret among the Dirty”Ol Tavern family. We have also been debating on spelling – Goober ball or Guber ball? I think it is spelled Guber due to the German heritage of many Lancaster folk. If anyone thinks otherwise, let me know. 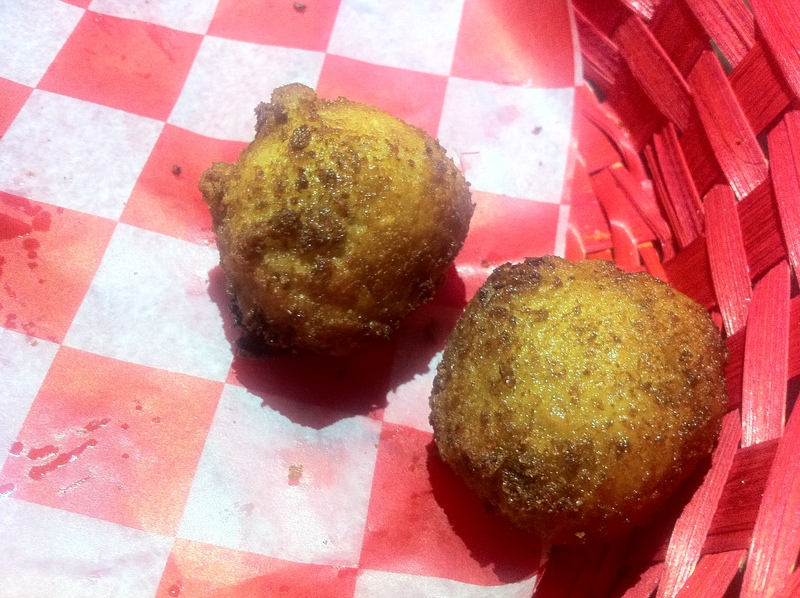 I think Dan said it best when he described them as a “meat hush puppy.” They look a lot like round hush puppies. I can only speculate that they are made with some kind of ground meat and maybe some vegetables and spices… possibly pork and celery? I have no guesses on the spices. They are rolled in breadcrumbs and fried, making a crispy outer shell and a mushy center. I’ll probably get the evil eye for posting that picture… like I said, the Guber ball recipe is a heavily guarded secret. If you try to take one out with you, you’ll get in big trouble. 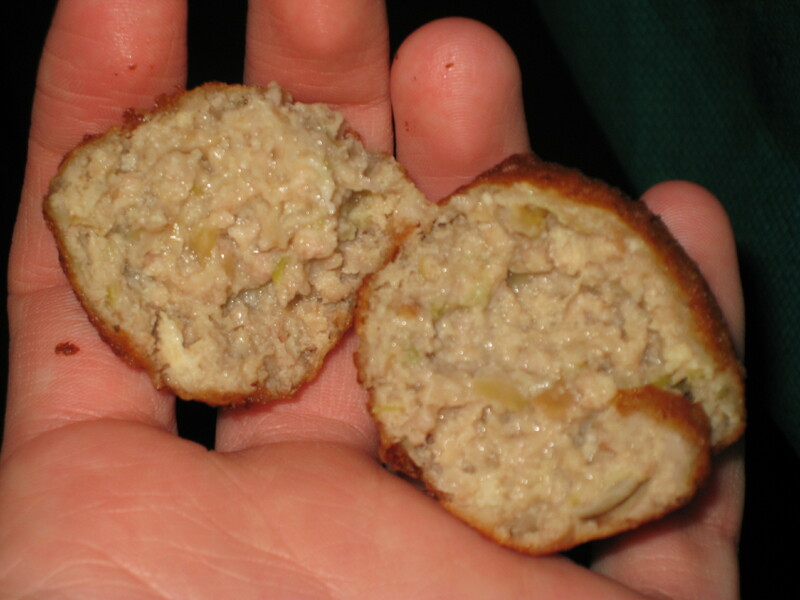 Guber balls are to be enjoyed only at the Dirty Ol’ Tavern and only on Guber Ball Day. Guber balls come out of the kitchen in baskets. You don’t order them and you don’t even pay for them. Guber balls are just there to pass around and enjoy. I actually can’t say that I love them but they only come but once a year so you have to eat at least one. Who wouldn’t want to participate in the tradition and novelty of it all? You never know… they might bring you luck in the new year!